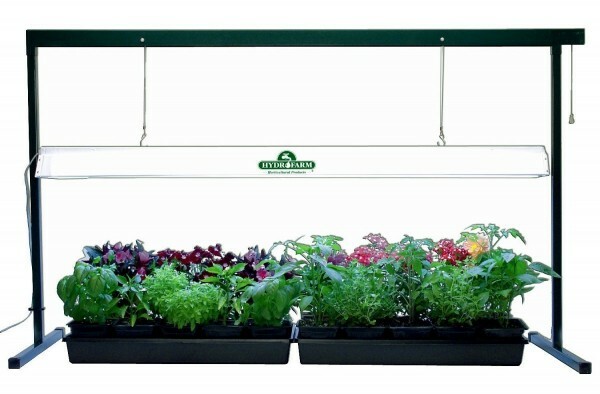 Indoor growing typically requires artificial lighting to replace the sunlight that plants would otherwise receive in nature. A plant must be exposed to a certain amount of light in order to create energy through photosynthesis. When purchasing and setting up your grow lights there are several factors to consider which will determine many things about your artificial lighting requirements. Knowing these factors beforehand is important so that you can build a sustainable indoor garden that produces strong, healthy plants faster. 1. Placement: you will need to determine at what distance to place your lights away from the plant. This will depend on the growth stage of the plant, as seedlings will require more direct placement than mature plants which have more leaf surface area. 2. Temperature: some lighting types, like standard incandescent lamps emit more heat than others. This is important to watch as too high of heat levels will damage your plants. 3. Spectrum: you must determine the spectrum of light being emitted by the bulb – either red or blue. 4. Stage of growth cycle: the stage of the growth cycle will determine whether you use red or blue spectrum lighting. Blue spectrum is applied during vegetative stages, while red spectrum lighting is applied during flowering stages. 5. Timing and cycle: depending on the requirements of the plant, you may decide on a timing cycle for your grow lights so that plants receive their recommended amount of light regularly. 6. Coverage area: you may need to add or remove lights depending on the range of light needed to reach all plants. With too wide of a lighting range you’ll waste energy. But with too little range you’ll risk eliminating some plants from the light coverage. 7. Number of plants: You’ll want to make sure that you don’t have too many plants under your grow lights as plants will start to compete for placement under the light. Less is more. Read more about the artificial lighting needs of your indoor gardening including ways to boost light and save energy.Feature Image: Hydrofarm JSV4 grow light system. 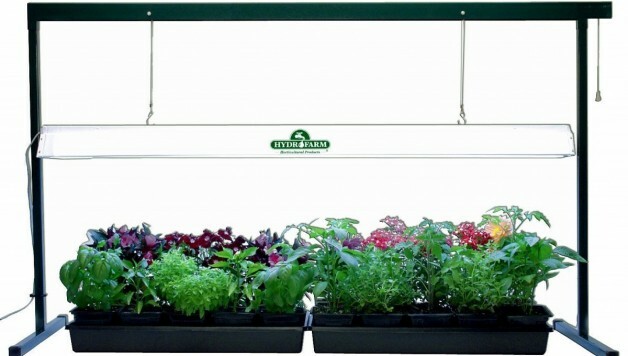 Image via Hydroponic Systems Zone.